The Sun shines bright and shows that all will be revealed today. You have a clear romantic path and all of the dark days associated with recent disappointments are over. A hidden truth is revealed, and everything negative associated with it goes away once it is brought to light. There is no arrogance linked with growth today. You deserve the all good things that come your way. The Major Arcana Represents Major Life Lessons: If the Sun comes out on the first card of your reading in the positive position, you are leaving the past behind you and ready for all the opportunities in front of you, but you might be in a hurry, because you are very optimistic, and you might make a mistake. 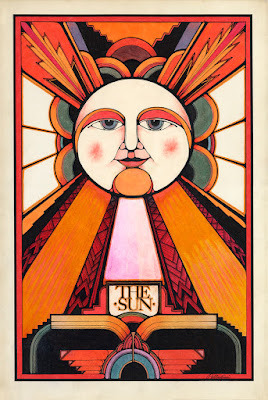 If the Sun shows up in the outcome of the reading in a positive position, it indicates assurance that you are finally going to revel in the new light that guides you to your new future. You have learned to leave the fears of the past far behind you, and you are done with learning lessons. The Sun is enumerated nineteen, and its energies are packed with bright possibilities, happiness, joy, vitality, and a newly positive feeling about life. Adding together the digits of Sun's number (19 = 1+9) results in ten, a symbol of union and attainment. The Sun depicts an elated naked child, a representation of an adult who feels like a child again, free from past restraints and trauma, starting over, and energized with life. The Sun indicates the energy and enlightenment of health and a return to good feelings with no surprises or twists lurking in the distance. It symbolizes light and clarity after a period of darkness and confusion. It projects stability and reliability in the face of the bleakest situations and also symbolizes unconditional and unbreakable love. There is nothing more powerful than the Sun, nor more welcoming than its faithful daily rising. The cloudless sky is dark blue (thought). The Sun's ten jagged rays represent the Wheel of Fortune, a turn for the better, and the feeling that luck and destiny are on his side .The eleven straight rays suggest the Justice card, symbol of balance and a good feeling. This total of twenty-one rays represent the number of Tarot cards in the Major Arcana and all the experiences the child (Fool) will pass through. He is not done yet as he has the last two stages left to experience. Four large sunflowers represent the suits in the Minor Arcana: swords (thought), wands (energy), cups (love) and pentacles (stability). These suits represent the growth and knowledge that he has learned along the way. The white horse indicates a new direction and new understanding. The child guides the horse without use of his hands, a symbol of perfect control between the conscious and unconscious mind! The orange banner represents vibrancy of action. The banner flag in the right hand represents conscious energy and his empty left hand represents the unconscious. He has learned that life is based on duality: the contrast between black and white, wrong and right. He knows that if he lives in a dark place of separation there can be no harmony, no true happiness. The brick wall represents the blending of life's dark and light areas, protection, and a tendency to become blocked and bitter through bad experiences. The child is riding away, leaving the wall behind. 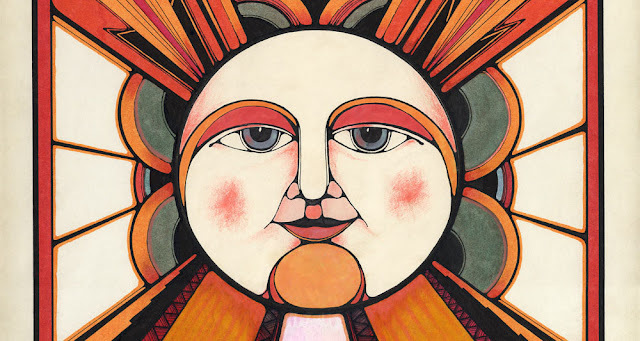 Having learned from his experiences he wields the strength of the Sun in his spirit. CANADIAN SINGER JEREMY BENJAMIN HAS NEW RELEASE! US WOMEN'S OLYMPIC HOCKEY TEAM TAKES GOLD!!! POPA CHUBBY BLUES LEGEND BACK IN DETROIT! ORLY NAIL SPRING COLORS: PASTEL CITY! TOP 10 PIXAR ANIMATED FILM SHORTS! THE INCREDIBLES ARE BACK JUNE 15! ESSIE NEW RED BORDEAUX FOR VALENTINE'S DAY! ENTER THE ABC OSCAR 2018 CHALLENGE! AVENGER'S NEW TRAILER DEBUTED DURING SUPER BOWL!